Waking up in Fiji means waking up in Fiji time. There is no hurry to do anything and as we had a whole weekend to fill in before we could get to the islands, that’s exactly what we did. We arose and had a casual breakfast before heading off to catch the bus into Lautoka to go to the markets. The bus comes to the front gate of Vuda Point Marina. They are basic buses and the people are very friendly on the bus. It took about 25 minutes to get into Lautoka and how the driver knows people want the bus is anyone’s guess. Some people we swore were waiting for the bus he drove past and others that looked like they were just having a chat with friends, he stopped and they jumped on. 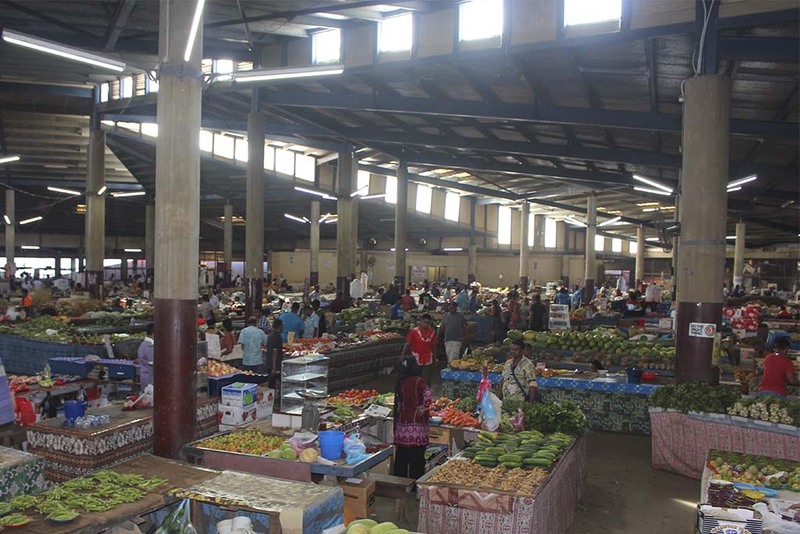 Lautoka is the second biggest city after Suva. We jumped off early and walked the streets. There are numerous discount stores and it was nice to see real pricing on goods, however food was not part of that. 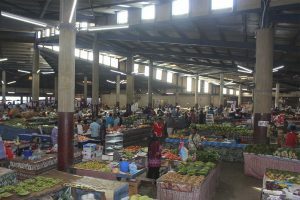 We got to the huge market and whilst there is no shortage of fresh goods, the cost astounded us. F$6 for 4 small tomatoes was just the start of it. But we were happy to have the variety available. 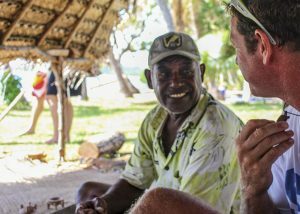 One of the key things to do in Fiji is that if you are going to go to the villages, then you should take kava to the chief. Kava is a root of a tree and they crush it into a powder and add it to water. It looks like, smells like and tastes like muddy water, and it pretty much is. It is a tradition so we bought some to take to Salevu Village, the village that used to supply lots of staff to Plantation Island. We also visited the supermarket and stocked up and used a taxi to return to the marina. That afternoon was time to do some washing, some additional repairs to the boat and relax. 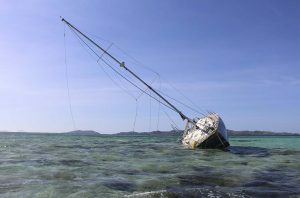 I contacted a friend in Brisbane who runs a work boat company. His response changed our plans drastically. He had work, he wanted us back ASAP and without wanting to miss out on the opportunity, we decided that we would only spend 1 week in Fiji and then head home. 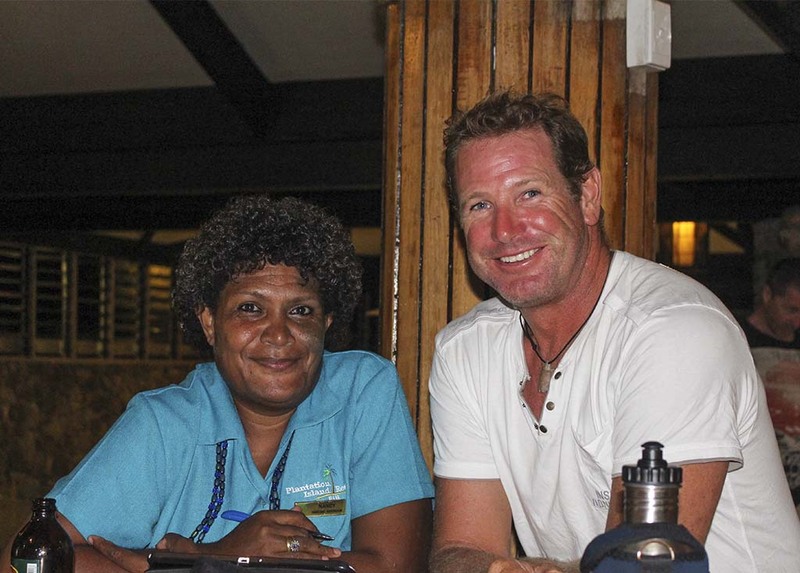 We were coming back within 5 years, preferably 3, anyway so our plan was to briefly visit friends out at Plantation, have a few dives to see how the reef coped with cyclone Winston and then head off to Australia. Sunday morning we fueled up, the last time we would fuel on this trip. We then headed out of the marina towards a couple of small islands to the north where we would stay overnight before cruising around to Lautoka Port in the morning to pick up the cruising permit. We anchored near Vatunaqalau Island. It is a small island that day trips come out of Denerau to visit for lunch. We had a snorkel pre-lunch before relaxing all afternoon. The snorkeling showed that there was quite an amount of damage with broken stag horn corals scattered and a lot of bleaching. Visibility was also quite poor but we were close to the mainland. The sunset was beautiful and there was a light south easterly blowing which was forecast to persist through the night. This had to happen as we were close to the reef so in the middle of the night, when something triggered in me, I went outside to find a north-wester blowing us directly towards the reef. Whilst we were clear, it was too close for comfort so we cruised over to Lautoka and dropped anchor there till morning. At 0800 I went in and picked up our cruising permit and then we were off to Plantation Island. No wind initially meant we motored, however we picked up some wind once clear of the mainland and tight reached all the way out to Black Rocks, the rounding point into Plantation. One thing to be aware of in Fiji is that the charts are absolutely hopeless. You cannot rely on them at all. You have to cruise around in daylight hours when visibility is good. 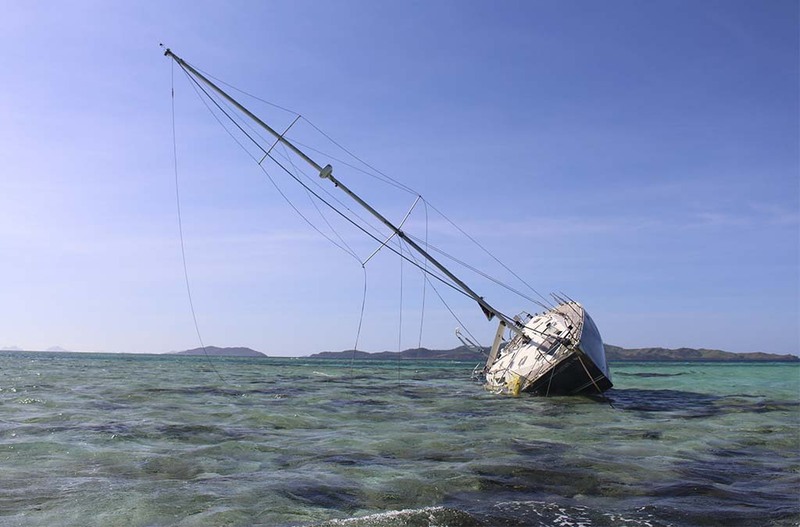 Out on a reef further west, a vessel had got it wrong and had ended up high and dry on the reef. It is quite common in Fiji unfortunately. Rounding the west point of Plantation Island and seeing the resorts coming into view was such a good feeling for me. I felt like I was home. We anchored amongst the reefs where we used to anchor all the time. The charts actually showed us as on a reef!!!. We had lunch before heading into the resort to see who was still there. It had been almost 13 years afterall, a lot of changes had taken place to the resort so I guessed a lot of changes would have taken place in the staff too. The first stop for us was at the watersports hut. They told us to go and see a lady in the bike shop so off we went. I was trying to find Jayson who is one of the owners. He had sailed to Tonga with us all those years ago. The lady in the bike shop told us he wasn’t on the island. She did however tell me that Vilisi was still working on the island and was manager of Kids Club. Vilisi and I had a great relationship back in the day. She used to run kids club and as they ran activities during happy hour, I used to go and give her a hand to hold the limbo stick or just play around with the kids. So when I walk into kids club and saw her, well her reaction almost put Annika in tears. She was so excited to see me. This was exactly why I love Fiji. For the next hour we walked around with her and ran into Nancy & Naome in the restaurant, and a few others scattered throughout the resort. There weren’t a lot of the old crew left unfortunately. Michael, the activities man, was off island so we had to wait to catch up with him. We checked out the resort and then cruised down to Musket Cove at the other end of the island. Big Joe Mayer was managing the resort down there so we caught up with him and I showed Annika the island bar on the point past the marina. It was good to be home amongst friends. The next day we took off early in our dinghy to get to Salevu Village. It is through the gap between Mololo and Mololo Lailai. You go past a small village and the main village is further north. We rocked up on the beach and how things have changed. The beach was littered with plastic. It was a bit disappointing to see but this is what we are talking about when we say that plastic is just not good for the world. People here are not educated of the damage that it causes and with no recycling, it just builds up. You could see it all along the coast. We walked into the village and the craft stalls have also changed. In the old days it was more craft that was made by the villagers. Now it seems that they buy stuff from the mainland and re-sell it in the village. I was again disappointed. We went to meet the brother of the chief as the chief lives on the mainland. We went into the community hall and presented our kava which was gracefully accepted. The tradition is that they would then share some kava with you, however this did not happen. Things had changed and Annika could sense something in me. It was real sadness that the village I used to know had been effected so much. However we looked around and bought a nice bowl to support them in the small way we can and then we took off. On the way back we dropped into the smaller village as we were told that the carvers where there. As I walked up the beach with my turtle necklace hanging around my neck, one of the big guys Mark looked at me and then smiled and laughed and said ‘that is one of ours.’ Yes it was. Mark and Bulli were the two carvers who used to have a small hut near the airport near Plantation. They now sell out of their village. I then saw Bulli and he yells out ‘Surf Guy’. We used to run windsurfing tours, hence the name. I sat with them and talked and my sadness had washed away. These guys were creating proper crafts by hand. They smiled and laughed and he even showed me a couple of turtles he has had for years, yet not sold as he can’t get good quality string anymore. It was so good to share laughs with these guys. We saw a platter that Mark was carving that Annika really liked. We said we would be back the following day to pick it up. That afternoon we walked around Plantation and the beach on the backside of the island was littered with debris. If we had more time we would’ve organized a clean-up with people in the resort. The main feature was Fiji water bottles. Again we were finding the issue of plastic bottles. The water in Fiji is awesome, so why people need water in bottles is just because people have been sold by the big corporations. Fiji water is a classic example. When bottled water was just starting out, a few celebrities were seen with Fiji water. It became an exclusive thing. It was tested a few years later and the bottled Fiji water is horrible compared to the tap water. 10 out of 10 people in blind fold testing went with the tap water. And the scientific tests gave results saying that it was also more healthy for you to turn on the tap. F iji is an amazing place, and Annika was realizing why I loved it so much. 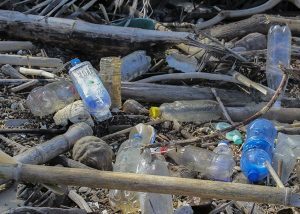 We see that there is a lot of work to do to clean up the plastic pollution mess by educating them of the issues they cause so we will be back in the future to do that. For now, with such a short time in Fiji, it was all about catching up with friends and checking out the diving, albeit it briefly. In our next edition we go diving at the Supermarket. Sound strange, well stay tuned for more.